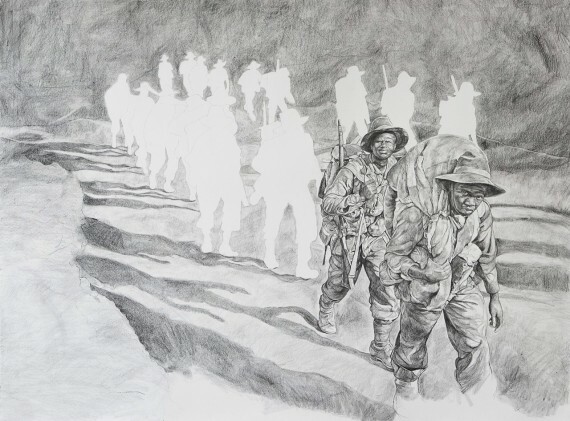 Birmingham artist Barbara Walker's latest collection of drawings explores the often under-recognised role of black servicemen and women in the British Armed Forces. 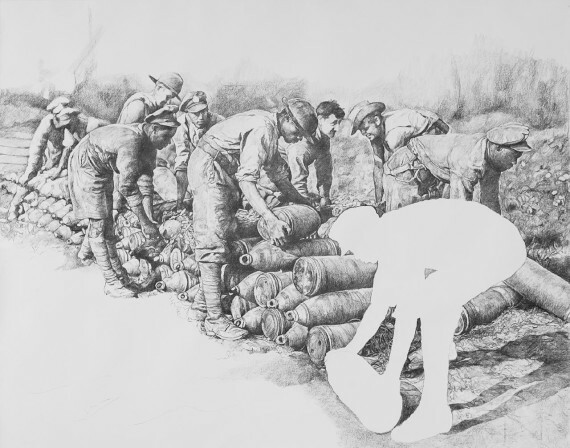 A major new commission of large-scale drawings by Birmingham artist Barbara Walker looks at the contribution of black servicemen and women to the British Armed Forces and war efforts from 1914 to the present day. 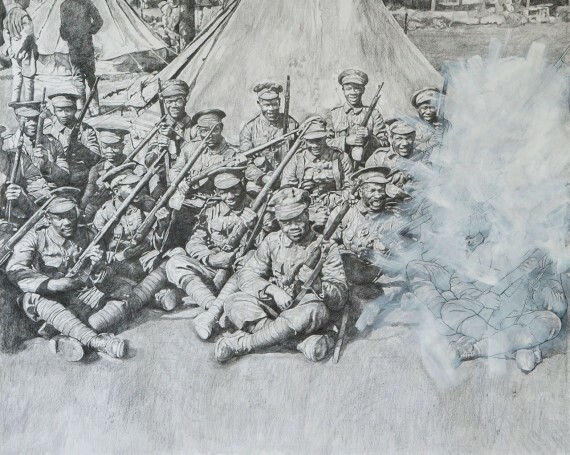 ‘Shock and Awe’, which is at Mac Birmingham until 3 July 2016, reflects on contemporary British conflicts alongside historical events of warfare involving Britain and the colonised nations of the British Empire. 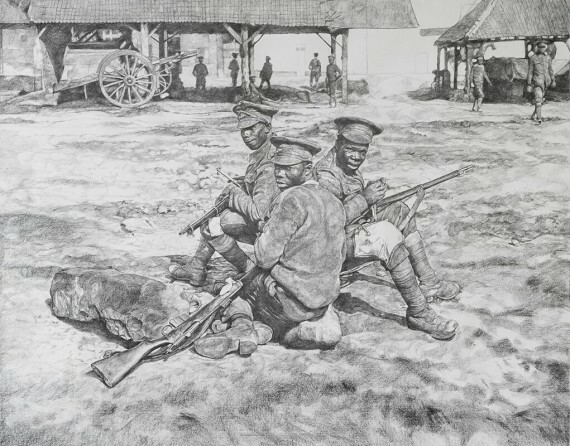 Through the collection of drawings, Walker explores the contributions of the British West Indies Regiment and the King’s African Rifles, among others. This includes addressing gender and the under-recognised role of servicewomen from the Caribbean and West India Regiments in World War II. The show also alludes to the physical and psychological impact of conflict, and the often turbulent return to civilian life after war. Referring to the respect usually shown to those who dedicated or gave their lives in military service for the country, Walker comments: “This does not appear to extend to black people, whose contributions really ought to be acknowledged. 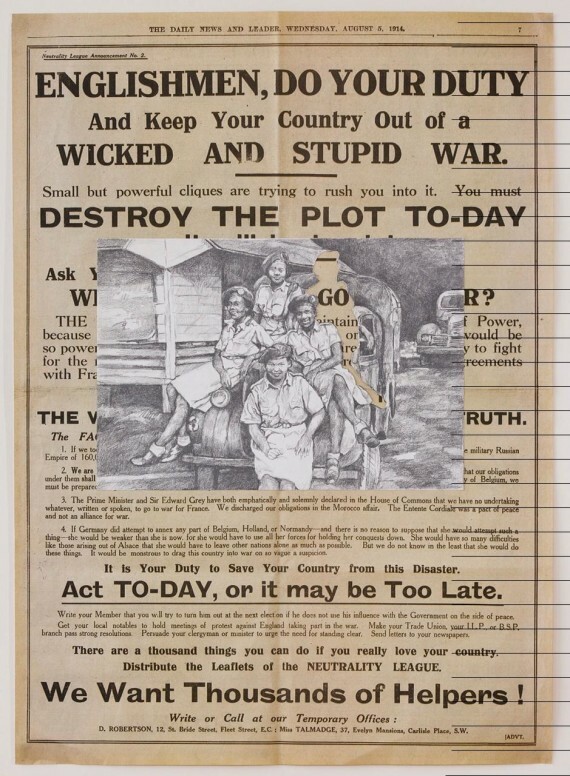 Regrettably, Britain’s war efforts are consistently characterised as being white. 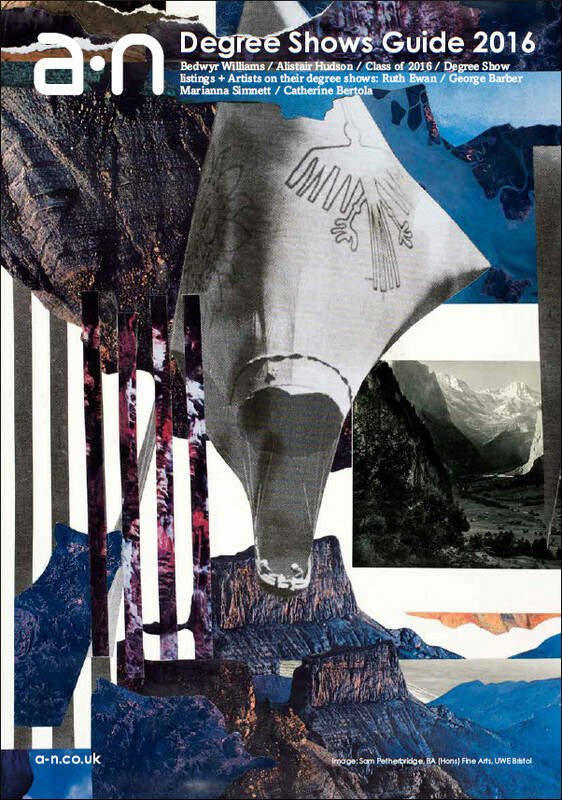 The exhibition is made up of works of differing sizes and media. Some pieces are framed works on various types of paper, made using charcoal and conté. 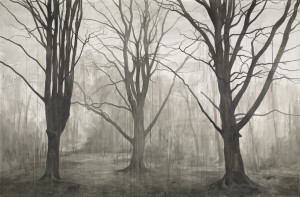 Others are larger wall drawings in charcoal. The latter is a new departure for Walker. 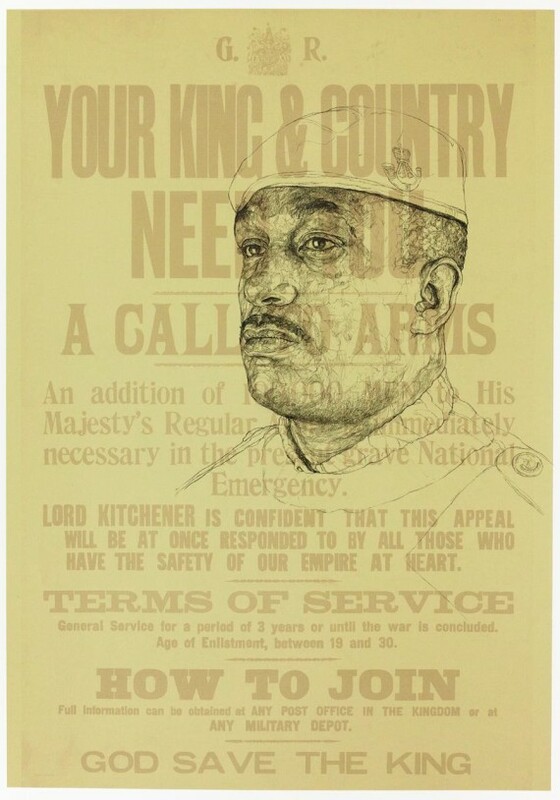 Walker’s wider practice is most frequently concerned with social and political issues affecting the African-Caribbean community in the UK, with particular reference to history and cultural identity in modern-day life. 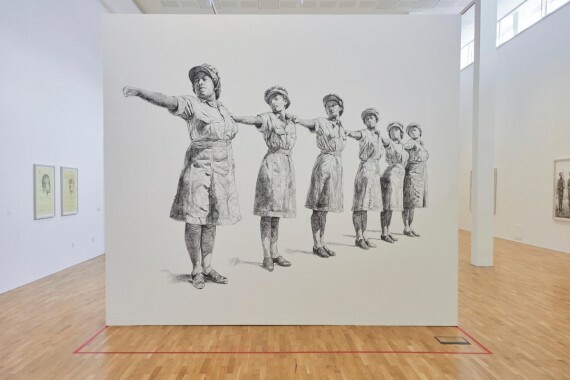 Her work often looks at the world around her, particularly what she sees reflected in the community in which she lives and works in Birmingham.